Model/mom Chrissy Teigen was honored by Glamour magazine, nabbing a spot on the magazine's Women Of The Year list. The 32-year-old Queen of Twitter was presented with the Influencer Award at the 2018 Glamour Women Of The Year Awards: Women Rise in NYC yesterday. 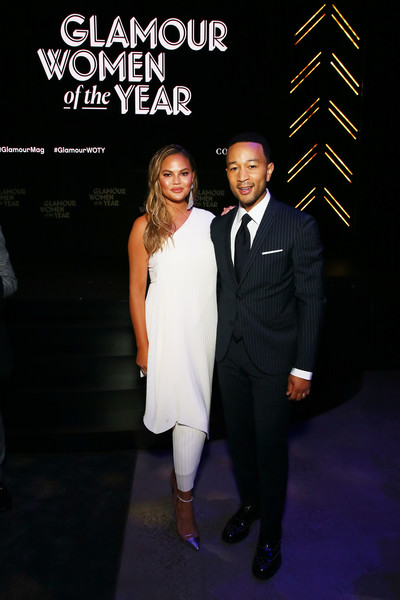 Chrissy's hubby/EGOT John Legend presented his wife with the honor and he got all choked up while gushing over her. The cookbook author was also all in her feels after his touching speech. "This is so sappy, I'm sorry. I hate it. I didn't cry during our wedding. I hate you, John, I really do." 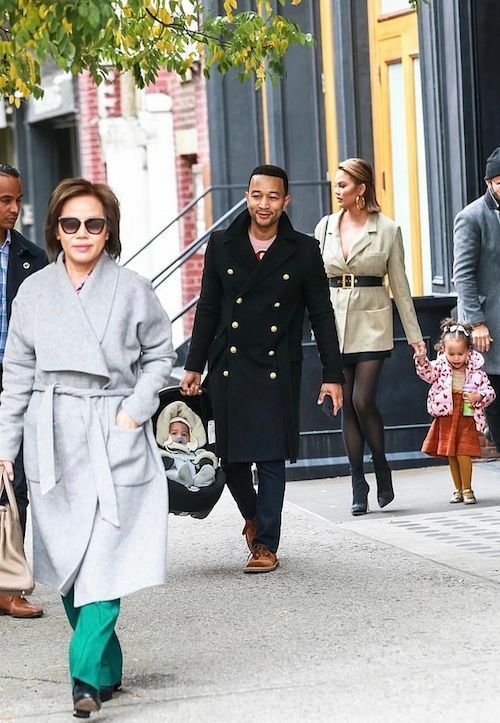 Chrissy and John got right back on their parental duties, stepping out with their 2-year-old daughter, Luna Stephens and their 6-month-old son Miles Stephens. With Christmas around the corner, the couple took the kidies to Radio City Christmas Spectacular to soak in the holiday festivities. Chrissy's mother, Vilailuck Teigen, tagged along for the family fun. It was mommy-daighter time for Chrissy and Luna as they made their way tothe theater to see a movie together. 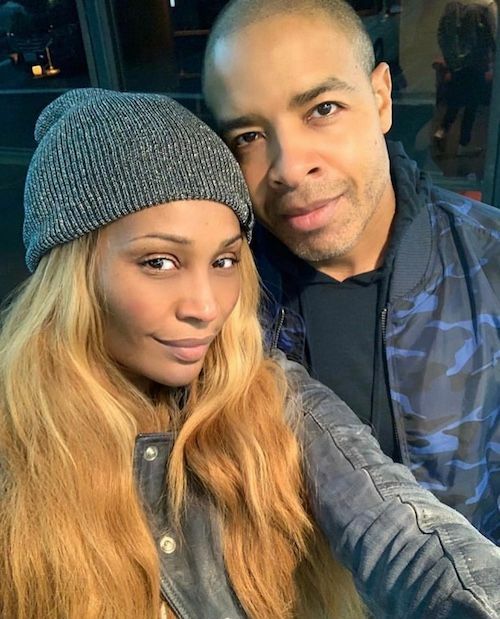 "Real Housewives of Atlanta" star Cynthia Bailey has been dating her new beau Mike Hill for about 6-months now. And they're already talking about trekking down the aisle. 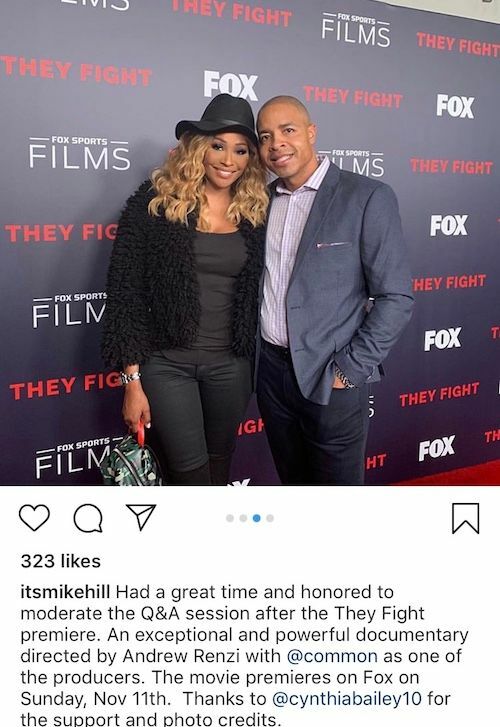 Before hitting up the "They Fight" LA premiere at NeueHouse (above), the couple sat down with Entertainment Tonight to dish on their fast-pace blossoming relationship. They met on the "Steve Harvey Show" after he appeared as a bachelor on a dating game. Cynthia is ready to head back down the aisle because she's not getting any younger. Well alright. What are your thoughts on Cynthia racing to the alter? 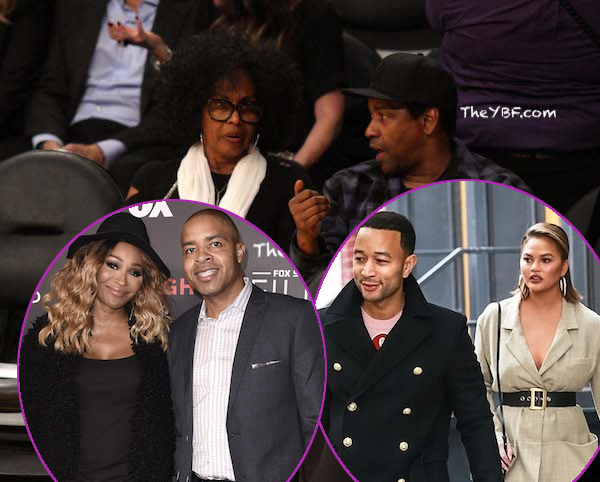 Black love goals! 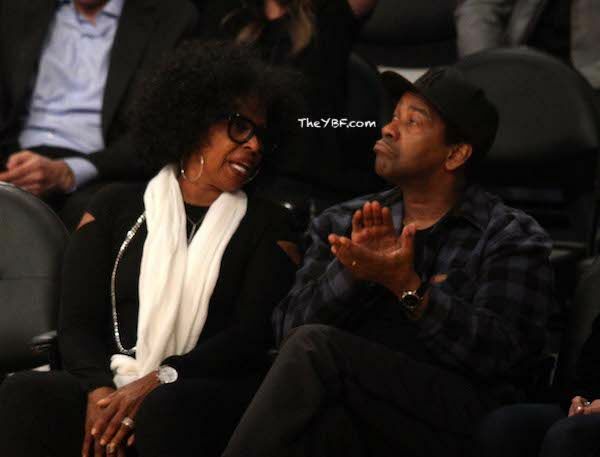 Hollywood veteran Denzel Washington made it a date night with his wife Pauletta Washington at a recent Lakers game. 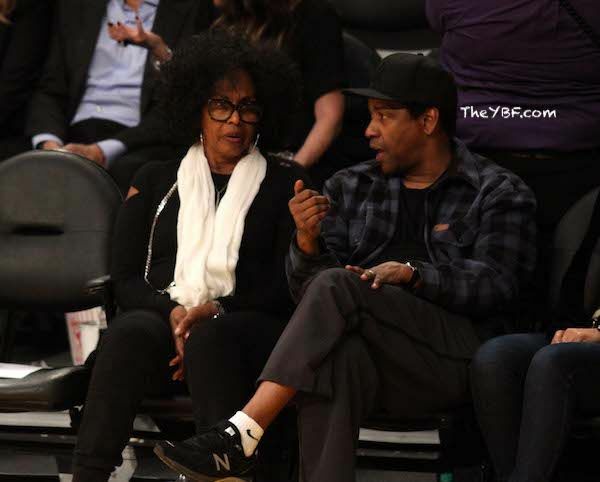 The couple was spotted chopping it up courtside inside the Staples Center as the Lakers went up against the Minnesota Timberwolves. Luckily for LeBron James and the Lakers, they defeated the Timberwolves, 114-110. Close game. Famed R&B crooner Brian McKnight arrives with wife Leilani stepped out for a dinner date at celeb hotspot Craig's restaurant in West Hollywood. PREVIOUS: FIT MAMA! New Mom Gabrielle Union Spotted Hitting The Gym In L.A.